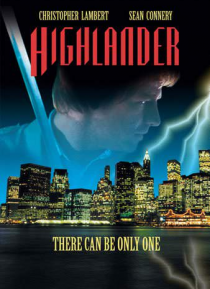 Scottish clansman Connor MacLeod (Christopher Lambert) discovers his true identity as a member of a legion of immortals, and embarks on a legendary journey spanning continents and centuries, eventually landing in modern-day New York City. Connor faces his ultimate test when other immortals begin to appear in the city for the mythical Gathering to claim the Prize, leading to a titanic showdown with… the frightening and deadly Kurgan (Clancy Brown). In the end, there can be only one!